PEMTec is high precision technology. PEMTec is engaged around the world as an engineering company that specializes in precise electrochemical metalworking. The technology has been developed by us to an industrial standard that is ready for mass production and forms the basis of today’s precision machines. We have turned our passion into our profession. Our engineering company specializes in the development and production of machines for precise electrochemical metal processing and was established in 1995 as the “PEM Technologiegesellschaft mbH”. 2003 saw the addition of PEMTec SNC, based in Forbach in France, directly by the German border, as a development and production location. 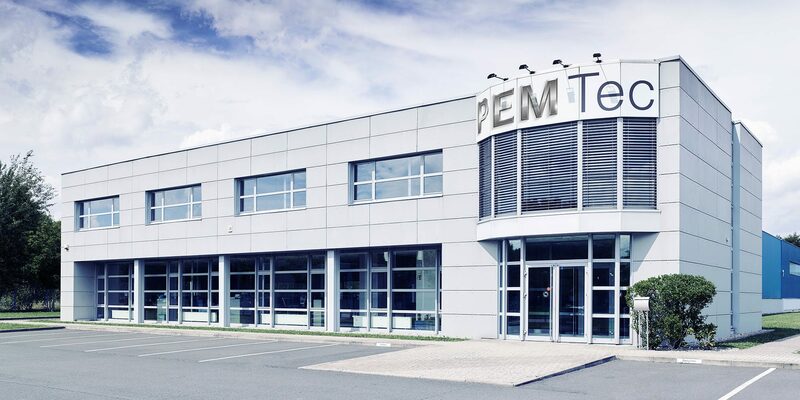 The main office of PEMTec is in Trier-Konz today. Application Centers have been established around the world since 2007 to provide customers with direct local support in the production of tools and applications for the PEMTec machines. We are internationally oriented and engaged worldwide. We have refined the PECM process and technology and now simply call it “Pemming”. Pemming has become a byword for the technology by now and is hence particularly worth protecting for us. We have always had a specific vision, right from the start: We wanted to refine and improve the PECM technology right through to the development and production of standard machines. What spurned us on along the way were the continuously mounting requirements for the shape and quality of the workpieces to be produced. How inspiring this incentive was is demonstrated by us being one of the technology leaders in this area today. The machines manufactured by PEMTec are used in the production of parts for the car industry and aerospace, medical and mintage engineering today. We are innovative, moving in the µm-range, our entire production technology is naturally monitored by a QA system and TÜV-tested, and PEMTec SNC is certified as per DIN EN ISO 9001.